TRAFINEO offers a comprehensive service package for the automated and cashless payment processes all regarding tolls and vehicle-related services. For a smooth processing of the transaction data TRAFINEO bundles the various systems and data of all acceptance partners. With only one contract you can receive all settlement services from one provider at TRAFINEO: from the processing of national and international invoicing to a cash and risk management. As an expert for Transaction Data Management we ensure that our customers can completely concentrate on their core business. Transaction handling, what does this mean? 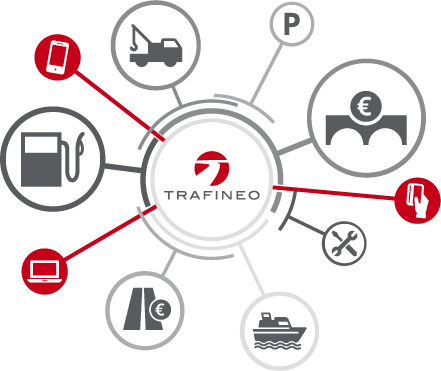 Every day thousands of customers of our business partners use vehicle-related services through TRAFINEO. Transaction data are produced, which contain central information about the procured service, the customer and the costs. These transaction data are checked by TRAFINEO and prepared for the correct invoicing and payment processing. Our Transaction Data Management enables our customers to ensure the correct and fast processing as well as invoicing towards the end customer. Transactions are transmitted from our acceptance partners after a successful online authorisation of the end customer to TRAFINEO almost in real time. Transactions can be incomplete, out-of-date, or invalid. After a check by the system the transaction data are forwarded to our business partner and settled. The Transaction Data Management of TRAFINEO is one of our core processes, however also core competences.